A sports bra is the most crucial part of a woman’s fitness regimen. A lot of us, in general, tend to focus on our outerwear for obvious reasons, but ignore our breasts. But wearing a bra that is not only comfortable but can also support the girls during the workout is as important. 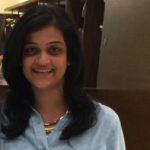 So even if you have been wearing a random sports bra, understand that there are many variants, and invest in something that is meant for you. An investment like this comes a long way and is much needed as well. Today, let’s clear this and discuss your options and how you can go about choosing the right bra. Keep reading. The first rule of thumb is to know your size. Usually, you need to go one size up. If you are an outlier and have breasts that are either too small or big, you should be more alert. Do your research to understand what the market has to offer. Encapsulation is the key. Choose bras that come with separate molds. Prefer thick straps over racerback or anything else, because your body and breasts need that kind of support. Go with adjustable straps because it helps when your size fluctuates. But either way, try it out first, and you will know what works. Choose a low, medium or high impact bra depending on the kind of activity/ies you will be part of. Having a few go-to brands might be a great way to go about sports bra shopping. Mostly be open and on the lookout. A bra should be like your second skin – it shouldn’t pinch, poke or chafe your skin – that’s when you know you have found your match. The bra should be fully encompassing without choking you, and of course, support those babies. Don’t think it’s too much to ask. Brands make them. We just need to know the names and give them a shot. High impact physical training and other activities like running, field sports, etc. need bras that can handle the pressure. You need bras that are slightly more sturdy than your regular sports bra. Brands like Under Armor are masters of their game and have tons of options, and one of them is this high impact sports bra. If you are looking for a sports bra and have bigger breasts, we understand that it’s twice as hard for you to find something that fits you and is comfortable as well. Look for wire-free options in breathable and stretchable materials. Some brands sell bras that are made to perfection, without compromising on the style. Just because you have bigger breasts does not mean you have to give up on looks! When you start to lose inches and weight, you will notice that your breast size will begin to drop too. As much as we hate it, for some of us, especially those with smaller breasts, it’s more obvious. Which is why you need bras that give you a little push-up. Jockey, a leader in making women’s lingerie has some very good sports bras that give you extra padding, support, and comfort. You can even wear these under your T-shirts and tops. If you are headed to a workout you dread, worrying about your sports bra or underwear should be the last thing on your mind – and that means you need to take care of this business first. The bra gives you the under-breast comfort to keep it together during high impact movements. There is a soft mesh placed strategically that absorbs sweat. If you are into more than one kind of fitness activity, this bra might be a perfect fit you. The clip and zip technology from Victoria’s Secret is patented technology that keeps everything under control. The padding is breathable, the straps are adjustable, and the bra is extremely comfortable. This bra is everything a sports bra should be, and if you are a loyal customer of VS, you’re lucky. Ladies with sagging breasts, listen up. If you have decided to buy good sports bras, I’m sure you are doing that for a reason. So, let this be one place you wouldn’t compromise or prioritize money over fit. You need bras that fit you exceptionally well, and fit both your breasts entirely inside the cups. So, go with molded and separated sports bras. It needs to be sturdy from the outside but soft on the skin. Brands like Adidas, Nike, Under Armour, and other big athleisure companies already have enough variants from sizes ranging from AA to DD, so take some time and check them out. The gym is invariably about cardio, strength, and sometimes high impact exercises too. You need bras that have separate molds and are supported by two different cups, which can otherwise make your workouts very uncomfortable. Always choose bras with thicker but softer bra straps as opposed to the slender ones, because all the extra support comes from the straps and they need to be sturdy enough to hold the fort. 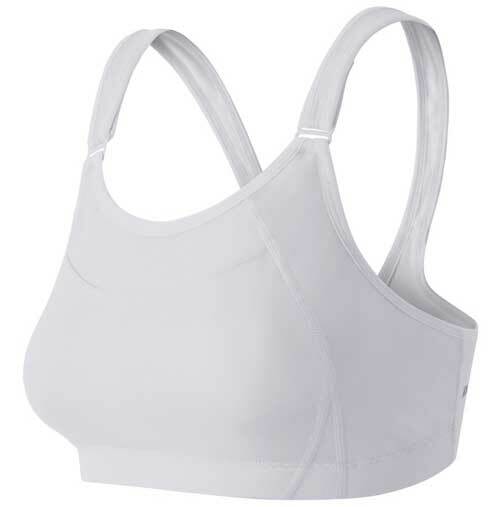 While sports bras don’t come with a closure, there is an increasing demand for bras with a front closure. The Athleta Empower Bra for running and jogging is designed with a soft mesh and front closure, keeping in mind the needs of women who run. It does not chafe or rupture your breasts when you run, and that’s a critical aspect of a sports bra for running. Activities like kickboxing need bras that stay in place without creating spillage, but are also soft on the skin. Bras that come with thicker straps, preferably crossed and stretchable, give you extra support. You can go for high or medium impact sports bras. Plus size women find it a little harder to find a sports bra that fits them well, supports them, and is comfortable too. But, that’s changing rapidly, and they are brands that cater specifically to women who are plus size or with bigger breasts, or both. 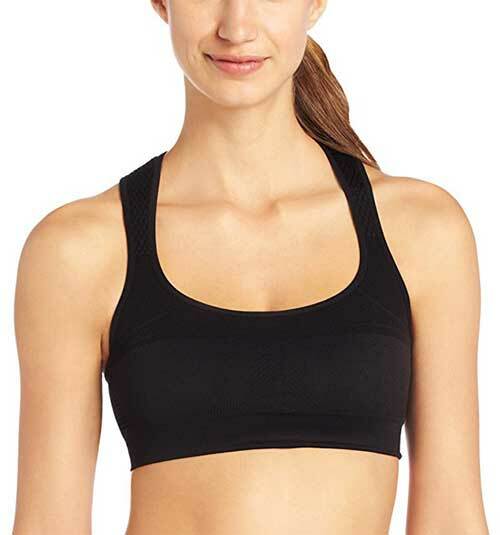 This High Impact Sports Bra from Bare Necessities makes bras that separate the breasts while keeping them intact. Yoga bras need to be fully encompassing, and since yoga involves a lot of movement, it is important to wear the right bra. Choosing any racerback will do no good; you need something that is breathable, that takes the natural shape of your breasts, and keeps the girls intact. If yoga is your forte and is something that you practice on a daily basis, look at brands that specialize in making sports bras for yoga. What are your go-to fitness brands? What do you look for in a sports bra? How often do you change them? Do you have any more questions? Let us know by dropping in a text in the comments section below.